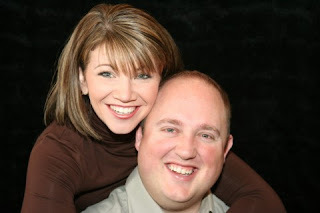 Happy 10th anniversary Mindi and Matt. I can't wait to meet Matt one day, he sounds so wonderful and he has a wonderful wife! I hope you are able to celebrate your anniversary in great style and that you have a great day! Love ya! So sweet! Where did 10 years go? I swear just yesterday we had a Gamma meeting!! Happy Anniversary! Wow! can you believe it has been 10 years! Aren't we still young?! I think you were made for each other...such wonderful people! Congrats on 10 years! You two are the cutest couple! What a good example to the rest of us. Also- Mindi you are the most amazing write- I love reading your entries. You are the best! Happy Anniversary! WOW! I agree that you are both such strong, sweet, wonderful, smart people. You truly deserve each other, you make me want to strive to be a better wife and mother! Thank you. I am happy to have witnessed most of your mushy courting years. You two are darling. Congrats.